Don has 44 years of experience in the club and resort hospitality business, (you have to understand he started out as a child of course) working his way up in the business, operating fine private country clubs and resorts. His current position is Chief Operating Officer and General Manager of Hound Ears Club located in the western mountains of North Carolina, where Don calls home. Prior to coming to Hound Ears, Don was the CEO/General Manager of The Club at Longview, a Jack Nicklaus “signature” designed golf course in Charlotte, North Carolina. He also held prior positions as Vice President of Operations/GM with Arnold Palmer’s Bay Hill Club; Gary Player’s Alaqua Country Club, in Orlando, Florida; the PGA Tour; and Tournament Players Clubs in Ponte Vedra, Florida, Memphis, Tennessee and outside of Washington, D.C and COO/GM of Mountain Air Country Club, Asheville, North Carolina and as the COO/GM of the Country Club of Mobile, in Mobile, Alabama. Don is an active member of CMAA (Club Manager’s Association of America) and, in addition to his Hospitality/Hotel & Restaurant Business degree, from the University of Missouri; he earned his CCM (Certified Club Manager) certification and is also a (CPC) Certified Professional Business Coach. 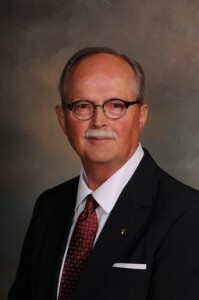 He held various positions on the Alabama Chapter of CMAA Board of Directors: as Vice President, Secretary, Technology and Membership Committee Chairman, and Student Liaison Committee Chairman for the State of Alabama and Auburn University CMAA’s students. He currently sits on the Board of Directors for the CMAA Carolina’s Chapter as the Director of Career Services. In addition, he served as a Faculty Member and Hospitality Management Instructor of the PGA of America, where he taught the Business School – III programs and also worked with Stanford University’s development team to develop the Golf Professional Training Programs (GPTP), used to teach PGA Professionals throughout the country. He was also an adjunct hospitality educator for the University of West Florida, and the University of South Alabama, while living in Mobile, Alabama. In addition to CMAA, Don is also a member of several other professional associations including the National Golf Foundation, the National Restaurant Association, and the Les Amis Escoffier Society, a gourmand society. Don is the contributing Editor for Master Club Advisors, and also sits on the Editorial Advisory Board of Club and Resort Business Magazine. He is a contributing writer for numerous industry publications to include Club Management’s Board Room Magazine, MCA’s Club Leadership Digest, Club Management Perspectives, and Restaurant & Institutions industry publications.